Legalization for All street corner rally in Tampa | Fight Back! 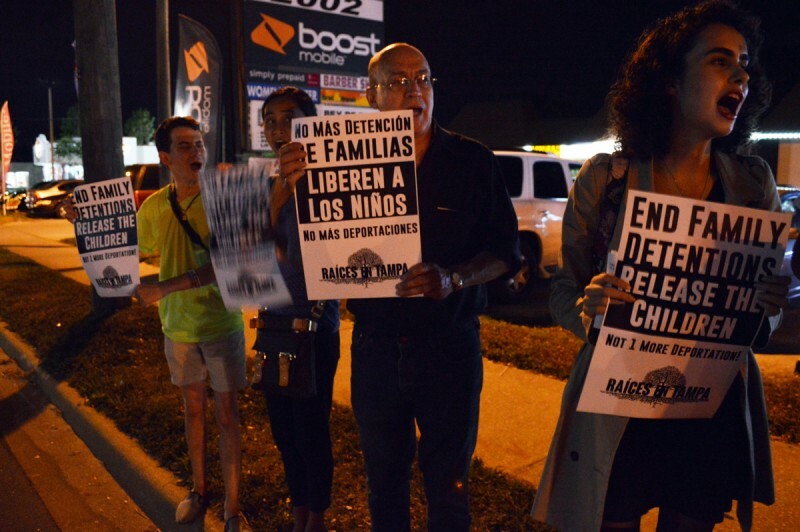 Tampa, FL - On Nov. 6, Raices en Tampa rallied on a busy street corner in solidarity with the immigrant families being held, without due process, in a Texas detention center. The Legalization for All Network called for a national day of action demanding the U.S. government release the children, end family detention and halt deportations. “It’s important to stand in solidarity with the families that are being unjustly detained in Texas,” said Oscar Hernandez with Raices en Tampa. The protest continued as cars honked their horns and friendly drivers waved at the activists. The rally ended in high spirits, just before the Florida rain started falling. Raices en Tampa will continue to organize to support Legalization for All, and, specifically to get driver’s licenses for all in Florida.